So last week, when Seth Rogan tweeted that PREACHER promo, it turns out he did it because AMC officially picked up the series — but he forgot to explicitly mention that. Way to promote your show, Mr. Executive Producer! Rogen is exec-producing the 10-episode series with Evan Goldberg (This Is the End), and it is expected to bow in mid-2016. 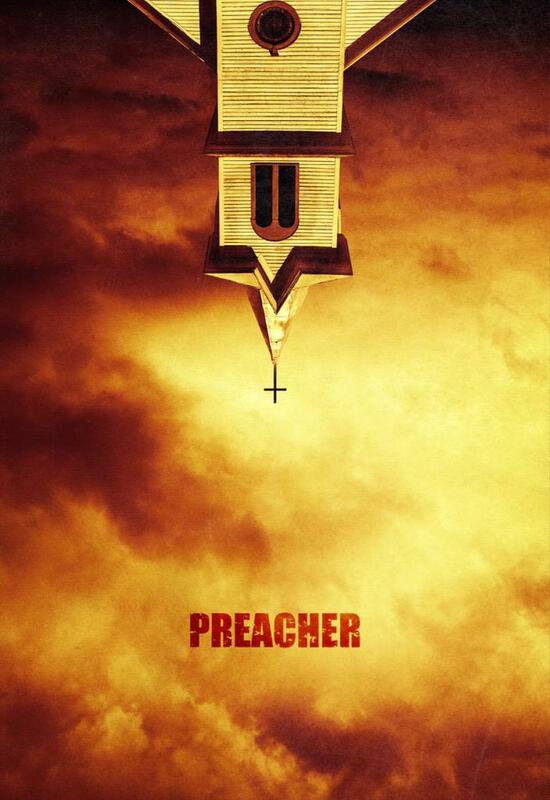 PREACHER centers on Rev. 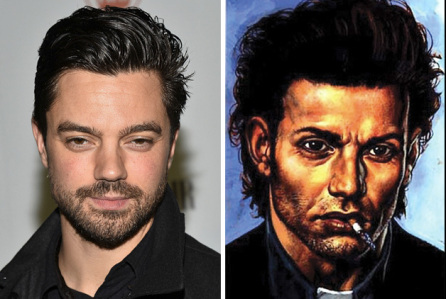 Jesse Custer (AGENT CARTER’s Dominic Cooper), a conflicted Texas minister who merges with a spiritual force called Genesis — making him more mighty than the Almighty. Joined by his gun-toting girlfriend Tulip (AGENTS OF SHIELD‘s Ruth Negga) and the hard-drinking Irish vampire Cassidy (MISFITS‘ Joseph Gilgun), Custer begins a violent journey across the country in search of answers from a disenfranchised God. Lucy Griffiths (TRUE BOOD) also stars. Well, FEAR THE WALKING DEAD was only mostly a snoozer this week. I was interested when there was some actual tension — for about 45 seconds — when Madison and Knife Boy were running and pushing the cart because they weren’t sure who was setting off the school metal detectors. There are two gigantic problems with FTWD, and the series has demonstrated no interest in remedying them. We know it’s zombies, but the characters don’t — and it’s taking forever for them to figure it out. Nobody in this fantasy universe has ever seen a zombie movie. This makes the characters annoying and seem stupid. This show is playing out exactly — exactly — like the first season of THE STRAIN. So we have literally seen all of this before, and it’s dull. We’ve seen people discover the early sufferers. We’ve seen the people insist that the infected are “Just sick, they just need help.” We’ve seen the disjointed, dysfunctional families; even the heroic Hispanic family has been done already. 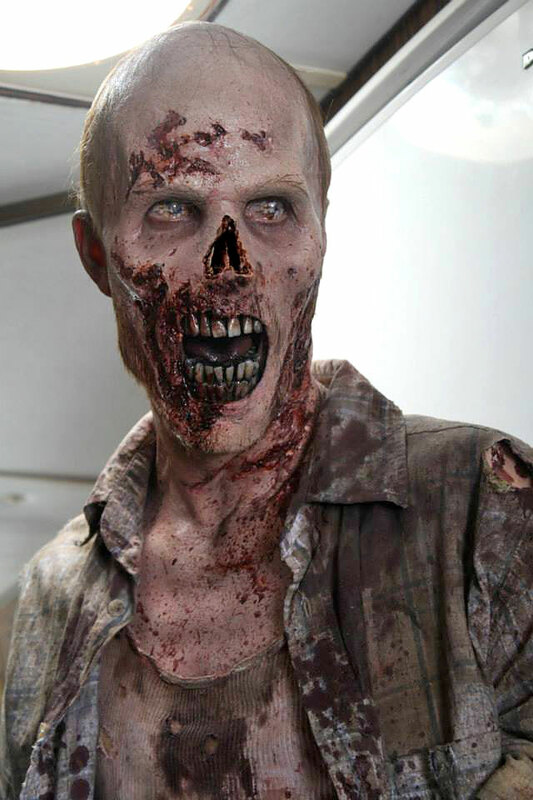 Do something new and interesting, FEAR THE WALKING DEAD! It’s probably just me, but I am still not sold on this series. This opening doesn’t strike me as mysterious and interesting — even if it does parallel Rick’s awakening in the premiere of the mothership — it just feels forced and dragged out.